Rajkummar Rao is reaching new heights in his career after the success of Newton, which marked India’s official entry in to the Oscars in 2017. 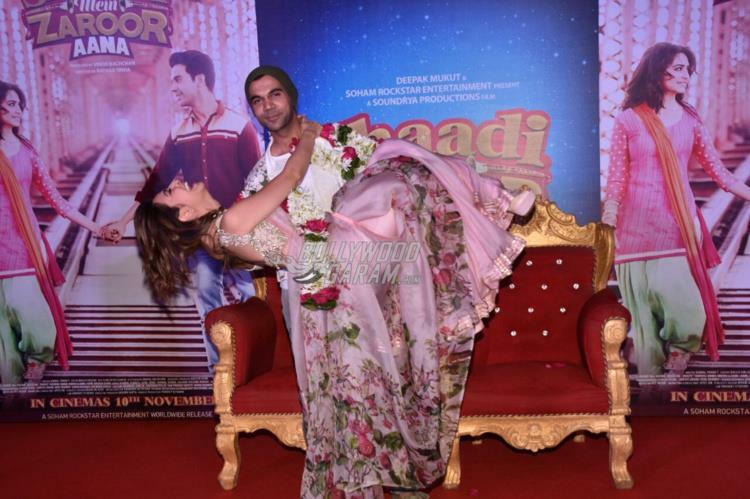 After displaying his skills in the film, Trapped, the actor is now ready to feature in upcoming flick, Shaadi Mein Zaroor Aana. The makers launched the official trailer of the film at a grand event in Mumbai on October 10, 2017. 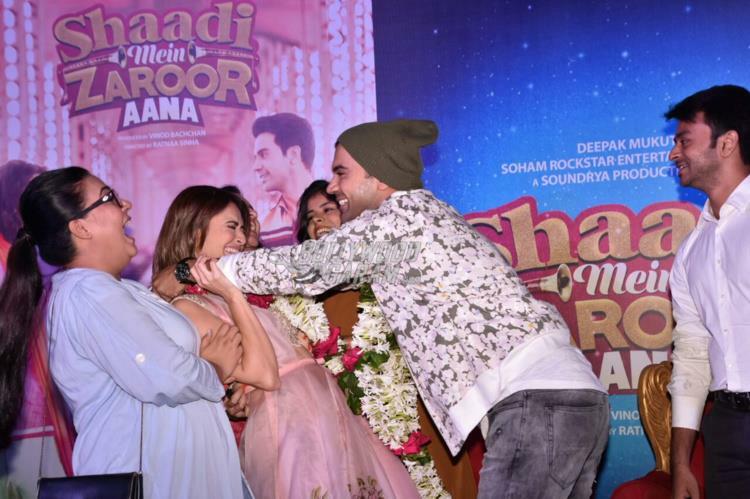 The film also stars Kriti Kharbanda, who will be seen playing the female lead. The trailer has shown a little love story between a girl and a boy from a small town, who meet through a marriage portal. The couple date and have a great time during their courtship days, but things take a different twist when the bride absconds on the day of the wedding. 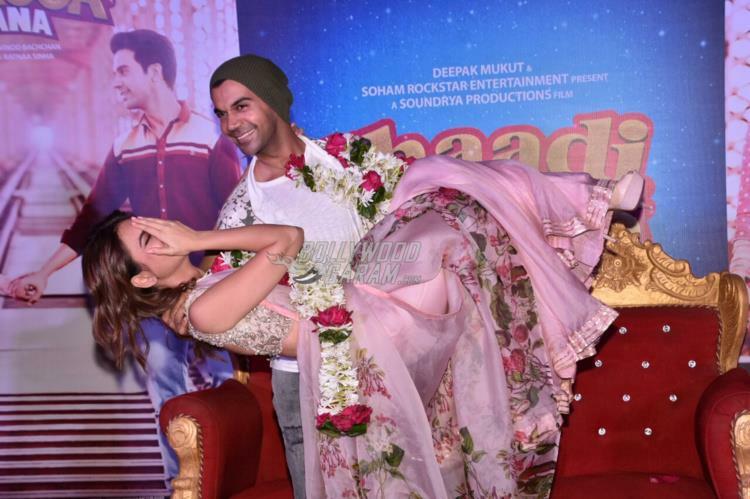 The incident leaves Rajkummar’s character deeply hurt. The story might not seem unheard but the lead pair surely look impressive and promising. The film is directed by Ratnaa Sinha and produced by Vinod Bachchan. Shaadi Mein Zaroor Aana is ready to be released in theatres on November 10, 2017. 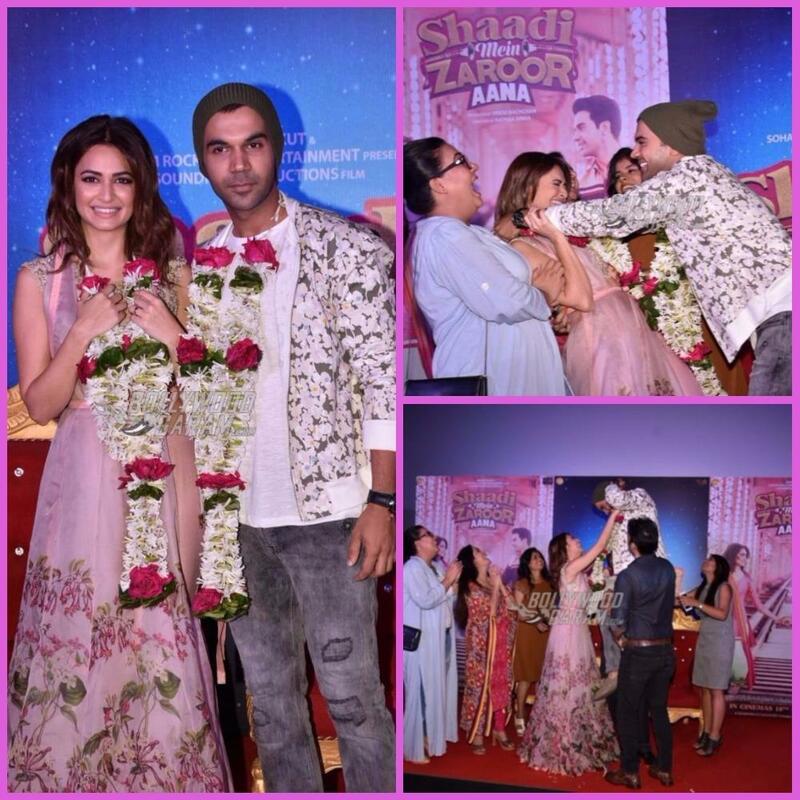 Exclusive photos of Rajkummar Rao at Shaadi Mein Zaroor Aana trailer launch event!